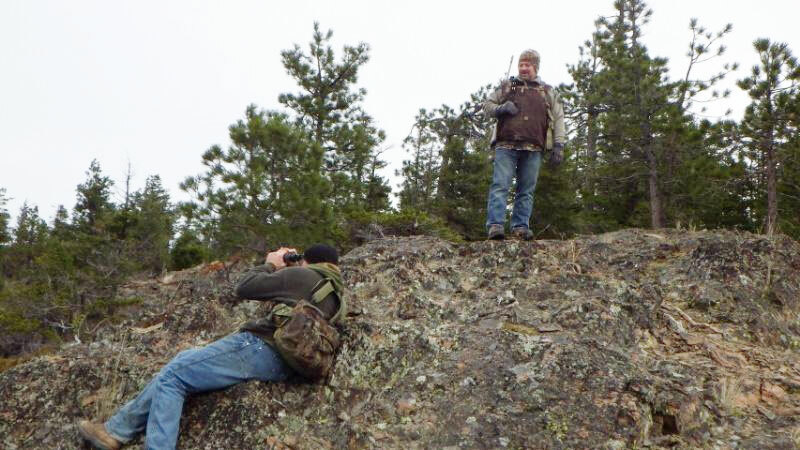 The Okanagan Valley of British Columbia, Canada, is a hunter's paradise. With beautiful sights and abundant big game opportunities, this will be a hunt you will never forget. K-9's offers all types of hunts, including: cougar, lynx, bobcat, bear, moose, mule and whitetail deer, elk, wolf, coyote, and grouse. K-9's has many different hunting options, depending on our hunter's desires. We also have a variety of combination hunts. A few of them are black bear/deer, moose/cougar, and cougar/lynx/bobcat. K-9's Cougar Canyon Outfitters, Inc. was recently established in 2012 by owners, Denver and April Kitzan. They purchased a large portion of another successful outfitter's territory and are excited about future growth with clients that are looking for a great experience. Denver has been hunting since he was old enough to tote a gun or bow with him. He has a great passion for dogs and following them to the tree. He has multiple experienced guides that have hunted and guided in the Okanagan Valley and are ready to work for you. Denver and his family love the outdoors and truly desire to make your hunt a hunt to remember.